Everyone watching the 2016 VMAs yesterday was on the edge of their seats after Drake confessed his love for Rihanna while presenting her with the Michael Jackson Video Vanguard Award. 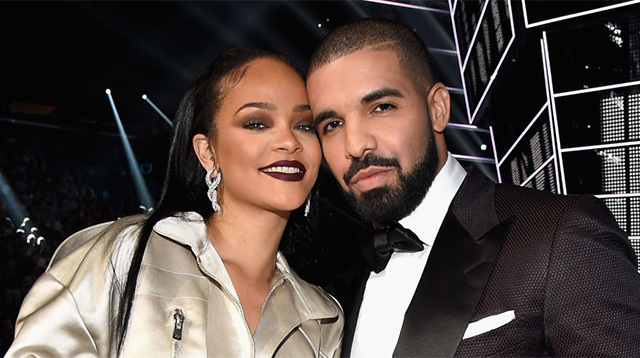 With nothing to lose, Drake went in for the kiss, and Rihanna seemingly swerved to avoid — although from different angles, it actually appears that the pair shared a quick peck before they ended up in their awkward embrace. Of course, the internet has already begun over-analyzing the whole thing to try and figure out what happened, particularly Rihanna's response to Drake's very direct declaration of love. Contrary to the onstage awkwardness, footage of the pair backstage and walking hand in hand after MTV had cut to commercial seemed to suggest that they're definitely more than friends, but who knows?